COLUMBUS, GA – FEBRUARY 15, 2018 – Communicorp, Inc. has been awarded the Best Workplace in the Americas (BWA) designation, Best Workplace, and Safety Shield, to recognize exemplary human resources practices that create an outstanding workplace. For 17 years, Printing Industries of America’s BWA program has acted as an acknowledgment of printing industry excellence in human resources practices. Being designated a Best Workplace and Safety Shield company demonstrates the significant commitment that Communicorp has made to its employees by investing in their work environment, their personal goals and ambitions, and recognizing that an exceptional workplace also serves the needs of the company. A panel of respected human relations professionals from the print industry judged entrants against benchmarking categories that promote the most sought-after qualities of today’s workforce, including Communication & Culture, Employee Resources & Benefits, and Work Environment & Safety. 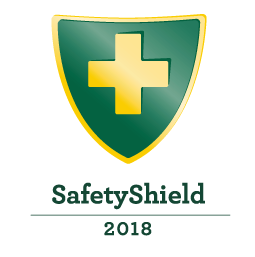 Those awarded a Safety Shield designation were evaluated on OSHA compliance and best safety practices for the printing industry. 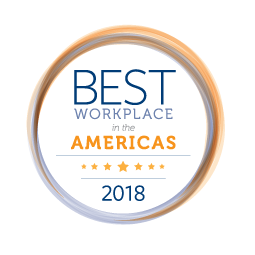 For more information about the Best Workplace in the Americas program, contact Adriane Harrison at 412-259-1707, aharrison@printing.org or see www.printing.org/bwa. For more information about Communicorp, contact John Shutter, at jshutter@communicorp.com or visit www.communicorp.com.